Guinean President, Alpha Condé, asked all Muslims in the country to hold a 24-hour prayer for President Muhammadu Buhari on Friday. 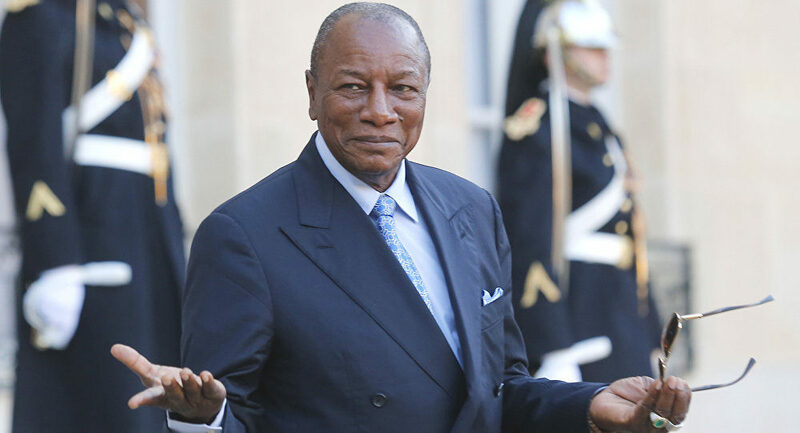 Condé gave this order while addressing the country’s Council of Ministers in a meeting on Thursday. At the meeting, the Guinean President expressed concern for his Nigerian counterpart’s health and afterward declared that Friday be devoted to prayers for Buhari’s quick recovery. According to an online platform, www.guineenews.org, Condé said Buhari was expected to visit Nigeria in March but was unable to do so because of his health. As a result, the Guinean President asked that prayers be held in all mosques in the country in what he described as a day of prayers for Buhari. About 85 per cent of the Guinean population (11 million) are Muslims; eight per cent are Christians; while seven percent are traditionalists. Buhari had since May 7, 2017, two months after returning from a 49-day London medical trip, returned to the country again for medical treatment. His long absence from work had intensified calls for his health status to be made public, while several Nigerians had called for his resignation. A suit had been filed before the Federal High Court in Abuja asking for an order compelling the Federal Executive Council to declare the ailing President as unfit to continue to hold office and another suit mandating the National Assembly to constitute a medical panel to verify the President’s fitness. The suit, marked FHC/ABJ/CS/671/2017, was filed on Thursday by the incorporated trustees of a civil society group, Kingdom Human Rights Foundation International. In February 2017, Muslims in major state capitals and towns in the North had also held marathon prayers for the quick recovery of President Buhari. The special prayer sessions were held at various Eid prayer grounds in Nasarawa, Kano, Kaduna, Katsina and Kwara states. 0 Response to "Guinean President Orders 24 hours Prayer For Buhari"